Deck season in Omaha will soon be coming to an end. And while Omaha homeowners are likely making winter preparations for sprinkler systems, furnaces, vehicles, etc., Decks, Decks and More Decks’ customers with low-maintenance custom decks are doing zero preparation or worrying about their decking in preparation for the winter months. Traditionally, cedar decks suffer from wear and tear during every season. From extreme temperatures, sun exposure and moisture, cedar decks take a significant amount of care during its lifetime. A low-maintenance deck made of composite decking has many advantages. Composite decking is mold-resistant and not susceptible to mildew or other toxic growth in winter months. Low-maintenance decking is also not vulnerable to temperature changes, blowing wind or freezing and does not warp, split or crack under extreme conditions. Our low-maintenance custom decks provide Omaha homeowners all the enjoyment of a beautiful outdoor entertainment space without the hassle of preparing for the winter months. This entry was posted in Custom Decks Omaha and tagged custom deck omaha, custom decks omaha, deck building omaha, decks omaha on October 31, 2017 by Decks, Decks and More Decks. Pergola and arbor are often confused to be the same type of structure. And while they are both outdoor structures built with posts that support an open roof of beams or lattice – they are, in fact, different. Our custom deck Omaha team designs and builds both. We’ve already discussed pergolas in a previous post, but an arbor is considered a freestanding structure that serves as an entrance to a part of a yard or garden, often with plants climbing up and overhead. Arbors include two or four posts with a simple slatted roof. The sides of an arbor can be open or covered with lattice or trellis work for a more enclosed effect, and to help vines better attach. Arbors, particularly in small or narrow gardens, add a structural element, frame an opening or entrance way, provide privacy to the homeowner and acts as a vertical growing element. Using an arbor as an entry provides privacy and frames the entryway. If the space is narrow and long, using an arbor can help to break up the space into smaller areas or rooms for different uses. The purpose of an arbor will define its size, placement and material. Our Omaha deck builders are experts in many outdoor structures – including pergolas. 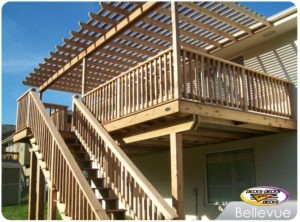 Give us a call to discuss how we can enhance the beauty and function of a backyard with a custom pergola. This entry was posted in Custom Decks Omaha and tagged arbor omaha, custom deck omaha, deck building omaha, pergola omaha on July 5, 2017 by Decks, Decks and More Decks. At Decks, Decks and More Decks (DDMD) our custom decks are unique and built to fit your family and your needs. 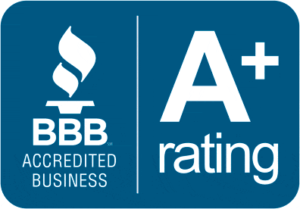 All of our customers want a beautiful custom deck that requires little year-round maintenance; and DDMD specializes in just that. 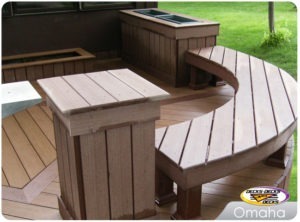 Decks, Decks & More Decks is Omaha’s only TimberTech Gold Contractor® & TrexPro®Elite Member. 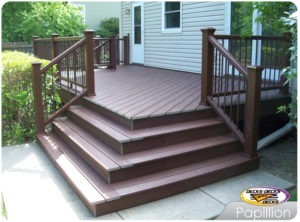 TimberTech composite decking and railing products are low maintenance, safe and durable. It maintains its color and beauty without the work of annual painting or staining. Additionally, it will resist mildew, warping and insects; so there’s no need to replace rotting, uneven or termite-damaged boards. TimberTech’s products offer our Omaha customers a wide variety of colors, styles and deck accessories – which allows for our custom decks to truly be an extension of our living space. And all TimberTech’s product come backed by an excellent warranty. This summer, allow our custom deck experts to provide your family with low-maintenance enjoyment in a custom deck. 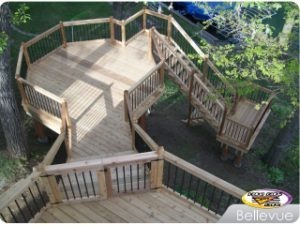 This entry was posted in Custom Decks Omaha and tagged custom deck builder omaha, custom deck omaha, deck contractor, low-maintenance deck, timbertech on May 31, 2015 by Decks, Decks and More Decks. At Decks, Decks and More Decks in Omaha, our custom deck builders are not only experts in beautiful, low-maintenance decks – but they also specialize in many other structures that will help make the time outdoors with your family and friends more comfortable and enjoyable. The Omaha sun can be hot. And when the weather is beautiful, you want to be outside without worrying about the sun. 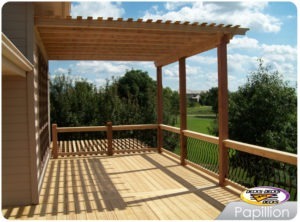 This is why our custom deck experts can also build a pergola or arbor on your deck or patio. We mix function and style, making each arbor or pergola unique. By accenting a pergola or arbor with benches, lights or planters it can truly offer a great look for entertaining and family fun. In addition to the aesthetics of an arbor or pergola and the fact that it provides shade while outdoors, it also provides shade on your home, helping to keep your home cooler. This is helpful for comfort and energy costs. At Decks, Decks & More Decks, we will help come up with a design that fits your home and needs, and that will truly create an oasis in your backyard. This entry was posted in Custom Decks Omaha and tagged arbor omaha, custom deck builder omaha, custom deck omaha, pergola omaha on May 18, 2015 by Decks, Decks and More Decks.